How Often Should You Blink? You may have noticed that some people seem to stare without blinking for long periods, or you find that you do so yourself. Or on the other end of the spectrum you might find that you or others blink a lot. How much blinking is normal? How often should you blink? The conventional medical literature says that the purpose of blinking is to spread tears over the surface of the eyes and to help push out dirt or other foreign irritants. 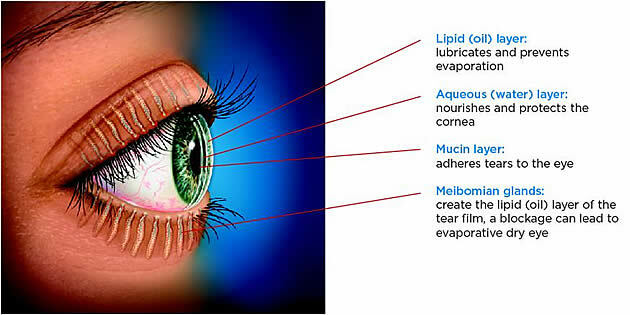 The tears themselves serve multiple functions: To wash away irritants, to lubricate the eye so it may move without friction in its socket, and to provide a smooth film over the surface of the cornea (the clear window into the eye) so that light rays may be refracted into the eye more accurately than they would be if the cornea were dry tissue. Great, so that’s all conventional wisdom you can find anywhere. However, there are other, more subtle, reasons for blinking. The movement of blinking is vital for the function of the eyes during their normal patterns of looking around and seeing, outside of any need to lubricate or clean the eyes. The tiniest eye movements are essential for good vision. The visual system relies on the eye making lots of micro-shifts that are barely perceptible or not perceptible, more like vibrations. The eye is at rest only when it is allowed to continually make micro-movements. The reason the visual system seems to need these movements is it stimulates the retina by providing a frequently changing image. Medical researchers have touched upon this idea, but they haven’t explored it well enough to realize how important this is to good vision. Blinking is a type of movement that serves to complement these shifts. When the eye is relaxed, blinks cause a little wobble in the perceived image. It’s the same type of wobble as the eye perceives when you go jogging and watch the horizon as your body and eyes are slightly jarred from each step, but to a lesser degree. Your visual system routinely adjusts to blocks out your perception of distracting movement, but I have found that I notice it at times. Blinking is also a rest to the brain in the reprieve it gives to the intense visual processing. Even that brief fraction of a second breaks up seeing enough to give the brain the rest it needs to stay mentally focused for longer. 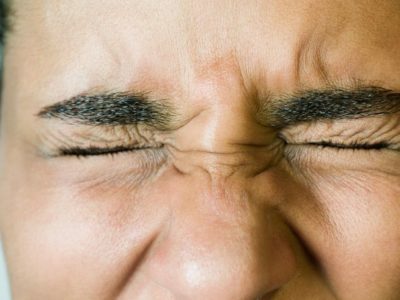 Your blinks should be quick and light, what some vision improvement teachers call “butterfly blinks.” You shouldn’t usually feel your eyelids touching, or be certain that they are. Blinks to maintain good vision should be done so quickly that you aren’t sure whether you did a full or half blink. It also doesn’t matter, in that a partial blink is just fine for spreading tears over your cornea and providing movement. There is no one best rate to blink at. If it’s windy, bright, or your eyes are otherwise irritated you should blink more. People with good vision vary in their blink rate, but they all do it as much as they individually need to. The tendency for people who are suffering from a lot of chronic tension around their eyes is to smash their eyelids down hard, sluggishly, and deliberately, as if it takes a great effort to blink. This is true for many people who are nearsighted in particular. They have a habit of straining their eyes that slows down their entire visual system, making everything less efficient, the movements more deliberate and infrequent. This is true for both the tiny movements of the eyes and blinking. Their blinking is done not as a normal, frequent part of seeing, but more like something they put off until they have resigned themselves to the fact that their eyes are so uncomfortable that they have to blink. This is only true to a smaller degree for people with normal vision, in that they sense when they need to blink. The difference is people with normal vision blink more often, quicker, and more lightly. Good blinks are often so quick that an observer won’t notice. This impaired blinking isn’t the same for everyone with myopia, not to the same degree. Virtually everyone with myopia has chronic tension around their eyes, but the degree to which it affects blinking can vary. If you’re nearsighted, you will most likely benefit from consciously practicing blinking more often, or reminding yourself to blink more often. It’s restful and refreshing and will help you relax your eyes and learn to see in a more relaxed way that will help your visual system on its way to performing better and focusing better. I’ll leave you with several snippets from Dr. Bates’s Better Eyesight magazines he published in the 1920s. The magazines have several more such articles on blinking, and it seems like nearly every issue had some mention of the importance of blinking worked into the stories about patients that he shared. It is a rest to the eyes to close them and keep them closed for a few minutes or a half hour or longer. When the eyes are open the vision is usually improved for a moment or longer. The normal eye can look at a small letter of the Snellen Test Card and see it continuously but when it does so the letter is always moving and the eyes are not kept open all the time. Closing the eyes effectually dodges perfect or imperfect sight. Usually unconsciously the normal eye closes and opens quite frequently and at irregular intervals and for very short spaces of time. Most people can demonstrate that when they regard a letter that they are able to see quite clearly it is possible for them to consciously close their eyes and open them quick enough and see the letter continuously. This is called Blinking and it is only another name for dodging. Dodging what? Dodging the tendency to look steadily at things all the time. All the methods which have been recommended for the improvement of the vision, central fixation, palming, swinging. blinking can all be grouped under the one word-dodging. One of the characters in “Oliver Twist,” by Charles Dickens. was called the “Artful Dodger.” Persons with good sight may not be artful but they certainly are good dodgers. The normal eye when it has normal sight, blinks quite frequently. By blinking is meant closing the eyelids and opening them so quickly that neither the patient nor his observers notice the fact. The moving pictures have shown that in some cases the eyes were closed and opened five times in one second. This is done unconsciously and is rather more than I can do consciously. Blinking is necessary in order to maintain normal vision continuously, because if one consciously prevents blinking the vision for distance or the ability to read fine print are modified. It is interesting to me how blinking, which is so necessary for good vision, has been so universally ignored by the writers of books on diseases of the eyes. Blinking is a rest, it prevents fatigue, and very important, it improves the sight in myopia, and helps to maintain good vision more continuously. By blinking is meant frequent closing of the eyes. It is usually done so rapidly that it is not conspicuous. Many persons with normal sight have the illusion that they do not blink. They believe their eyes are always at rest and that their eyes are continually open all the time. When their attention is called to the facts it is usually readily demonstrated with persons with normal vision. In one case the patient was able to distinguish a small letter on the bottom line at twenty feet, 20/10. He was positive that he saw the letter, continuously. It was found by observing the movements of his eyes that he did two things. 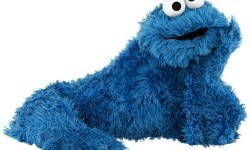 First: He closed and opened his eyes frequently, without being conscious of the fact. Secondly: He looked some distance away from the letter and back again and did it so quickly that he was not aware that he did it. The facts can also be demonstrated, perhaps more accurately, with the help of moving pictures. In all cases where the sight was normal, blinking occurred almost every second. In some seconds the eyes were opened and closed five times. Blinking occurs more frequently with the normal eye when the light is imperfect or when the conditions are unfavorable for perfect sight. When the light is good or the conditions most favorable for good sight, blinking occurs at less frequent intervals. Persons with imperfect sight do not rest their eyes as often as those with normal vision. When they are encouraged to blink more frequently their sight usually improves. 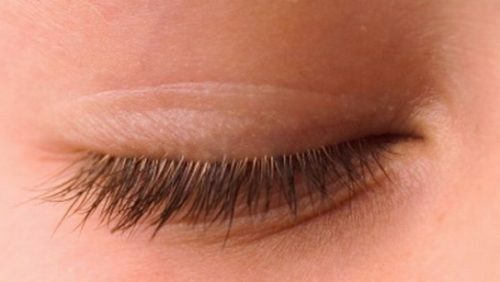 The normal eye when it has normal sight rests very frequently by closing the eyes for longer or shorter periods, and when practiced quickly it is called BLINKING. When the normal eye has normal sight and refrains.from blinking for some seconds or part of a minute, the vision always becomes imperfect. You can demonstrate that normal vision at the near point or at the distance is impossible without frequent blinking. Most people blink so easily and for such a short period of time that things are seen continuously while the blinking is done unconsciously. In some cases one may blink five times or more in one second. The frequency of blinking depends on a number of factors. The normal eye blinks more frequently or more continuously under adverse conditions as when the illumination is diminished, the distance is increased or the print regarded is too pale or otherwise imperfect. The distraction of conversation, noise, reflections of light, objects so arranged as to be difficult to see, all increase the frequency of blinking of the normal eye with normal sight. If the frequency of blinking is diminished under adverse conditions or from any cause the vision soon becomes imperfect. The imperfect eye or the eye with imperfect sight blinks less frequently than the normal eye. Staring stops the blinking. The universal optical swing, the long or short swing when modified or stopped are always accompanied by less frequent blinking. But be sure you do it right. By blinking is meant, closing and· opening both eyes rapidly. When done properly, things are seen continuously and they always move with a quick jump in various directions. Regarding stationary objects without blinking is an effort, a strain which always lowers the vision. Blinking is necessary to maintain normal vision in the normal eye. When blinking is prevented the eyes become tired and the vision very soon becomes worse. Some persons, without knowing it, will blink five times in one second as demonstrated by the camera. When regarding a large letter of a Snellen test card at twenty feet or one foot, while blinking consciously, the letter appears to move up while the eyelids close slowly, and to move downwards as the eyelids are slowly opened. This apparent movement is caused by shifting the eyes up and down while blinking. Many patients are unable to shift their eyes a short distance with benefit. When blinking they may fail to obtain relaxation, because they too often blink with an effort. It is possible for most patients to demonstrate that the shifting of the eyes up and down improves the vision, when blinking is done easily, without effort. Blinking is very important. It is not the brief periods of rest obtained from closing the eyes which helps the sight so much as the shifting or movements of the eyes. It should be repeatedly demonstrated that the eyes are only at rest when they are shifting. Blinking, when practiced properly, promotes relaxation or rest. The normal eye blinks continuously all day long when the patient is awake. 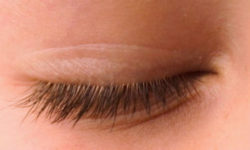 At night, when the patient is asleep, a movement of the eyeballs can be seen which resembles the movement of the eyeballs when the eye blinks. When the eye blinks slowly and the upper eyelid is slowly closed, distant objects appear to move up. When the eyelids slowly open, objects appear to move down. This movement is usually accompanied by an improvement in the vision. Blinking is absolutely necessary in order to obtain continuous normal vision. The normal eye blinks unconsciously, easily, sometimes with great rapidity and at other times rather slowly. It is impossible to stop the blinking of the normal eye. Any effort to do so is a strain, which lowers the vision and, if kept up for some minutes or longer, produces pain, fatigue, dizziness, and other nervous symptoms. Previous Previous post: What If Each Moment Was New?